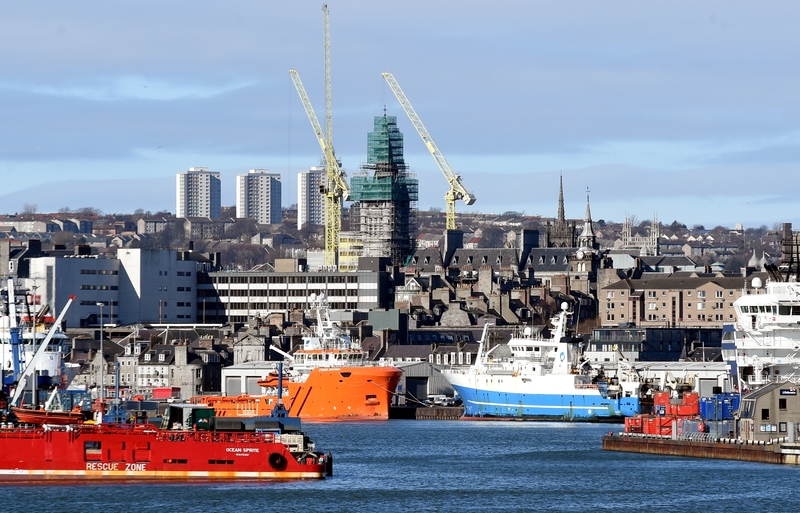 A cocktail of threats and opportunities awaits investors in Scotland’s commercial property market this year as it braces itself for renewed headwinds, according to consultants JLL. The warning comes after the Scottish market saw record investment in 2018, with about £2.5billion invested across all commercial property sectors – up by around 10%, compared with 2017. Last year’s deals included Indian entrepreneurs – Mumbai-based House of Hiranandani – snapping up a giant warehouse in Aberdeen for £22.5 million. The 111,988sq ft warehouse on Wellington Circle is fully let to Swedish furniture firm Ikea, Booker/Makro, Pure Gym and Starbucks. According to Chris Macfarlane, director capital markets for JLL in Scotland, a new cocktail of factors amid Brexit uncertainty is likely to see a reduction in volumes in 2019 as some buyers and sellers adopt a “wait and see” approach. Others will see the disruption as a buying opportunity but only if pricing is attractive, Mr Macfarlane said. He added: “Despite ongoing political and economic uncertainty surrounding Brexit last year, investors still saw Scotland as a solid investment opportunity. “The renewed momentum we saw last summer carried through to the latter quarters, leaving us with a record total for the year. “In 2018, there was a better flow of available stock as sellers entered the market in order to capture the momentum before the year end and the prospect of a more subdued 2019. “Global allocations for real estate will continue to grow, with Scotland a target for funds looking at their first wave of international acquisitions. Equally, due to questions over currency fluctuations, domestic investors could be at an advantage in many cases.